from 3 pcs. 8,22 EUR ea. from 10 pcs. 7,51 EUR ea. from 20 pcs. 7,16 EUR ea. from 40 pcs. 6,86 EUR ea. 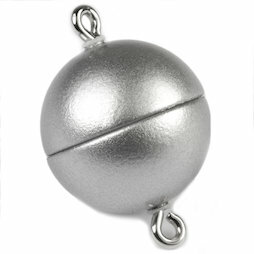 This ball-shaped magnetic jewellery clasp is perfect for necklaces and bracelets. 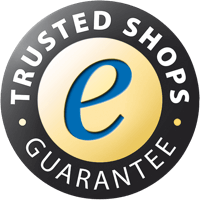 Two extremely strong magnets are glued into the plastic claps and guarantee that the jewellery stays together safely. Shifting the two plastic halves sideways opens up the closure. Ideal for allergy sufferers, since the sphere is made of plastic (free of nickel, lead and cadmium). Select from classy colours (various metal colours, black or granite) the right one for your jewellery.